Do you wanna to host a Bunco Night your friends won’t stop talking about but you’re not sure how? And wouldn’t it be great if you could host a great Bunco party in a way that doesn’t break the bank? I’ve got you covered! 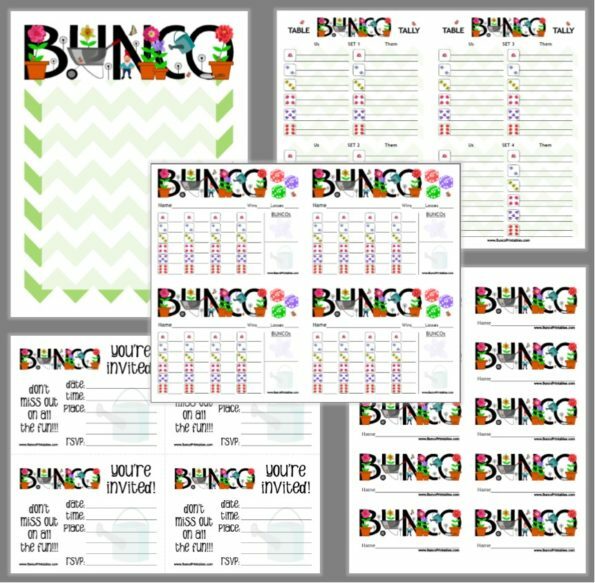 All of our Bunco Sets have white backgrounds so they don’t eat up all of your ink! 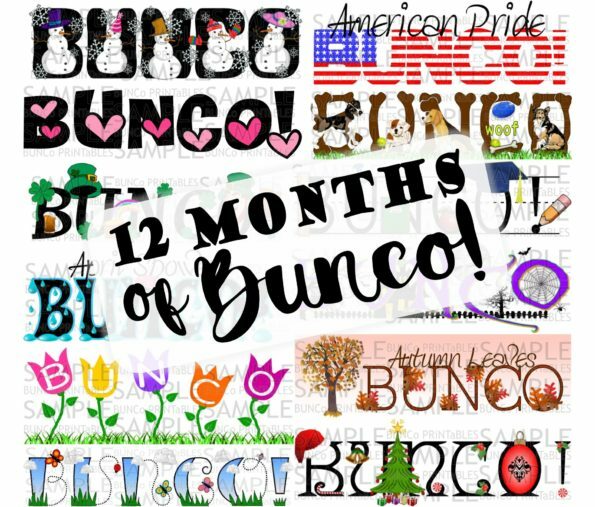 If you’re new to Bunco and don’t know where to start, I’ve got you covered! Check out the Getting Started page to get going! It’s got lots of great info and links for everything you need. As I continue working away at it if there’s something you would like help with and can’t find it drop me a line and I’ll do my best to make it happen! 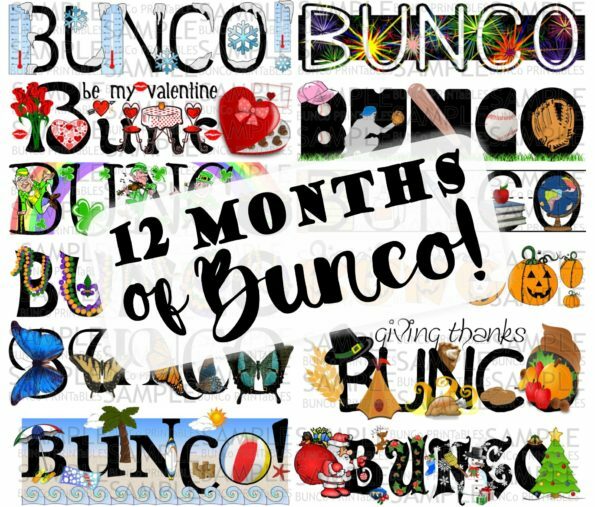 If you’re looking for a way to add fun to your Bunco group all year long…check out these 12 Month Combo Packs! Both of the 12 Month Combo Packs include a different combination of themes so you can really mix things up! In my group, we have a fully stocked Bunco Bag. 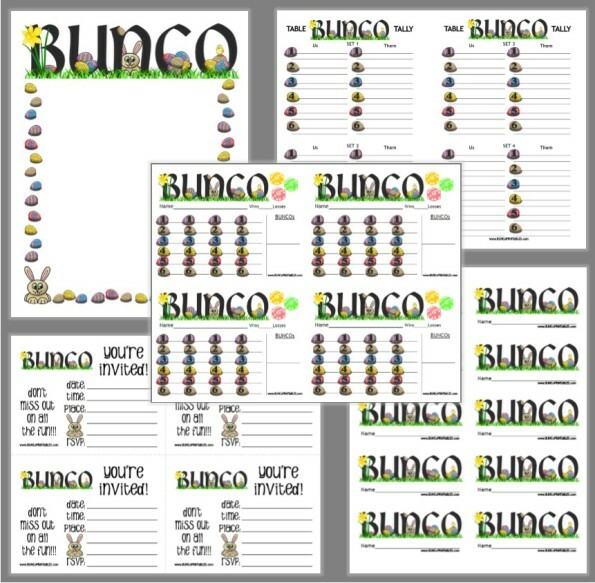 It includes our bell, a fuzzy dice traveler, a pencil pouch with ball point pens, our Roster, our Bunco calendar with dates and places, and all the Bunco score cards & Tally Sheets we need for the year all printed, cut, and ready to use. Visit the Getting Started page for more details. I’ve had other customers tell me they love this idea and started implementing it in their group. They also requested that I put together Combo Packs of Bunco Sets to make it more affordable. So I did! 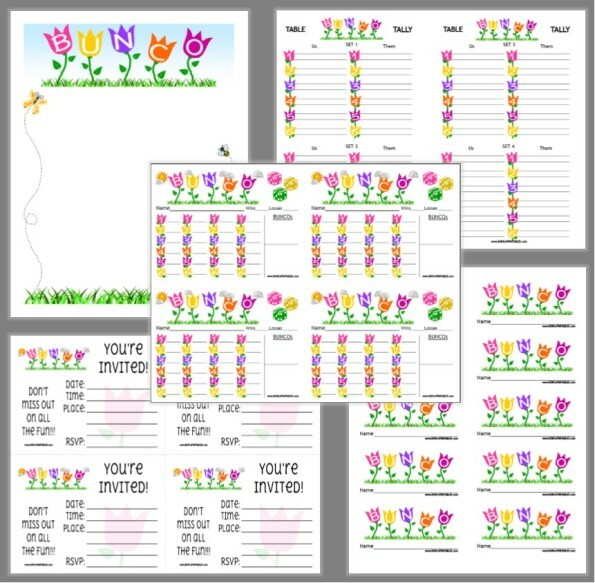 If you use the drop down menu under “BUNCO THEMES” you’ll find 12 Month Combo Packs, Assorted Combo Packs, and Seasonal Combo Packs. They come in 3, 4, and 6 packs…and they’re a great value! Who doesn’t love a deal? !